The job market is vastly different than it was even a few years ago… Buffalo businesses need to hire NOW… and they’re looking for candidates that may be working right now; that have the skills they need! Whether you’re looking for a career, a fresh start, or a chance to earn more money – you should plan to join us for the Putting Buffalo to Work Career Fair, presented by Baker Victory Services! This is your chance to shake hands and have face time with employers that are hiring NOW! 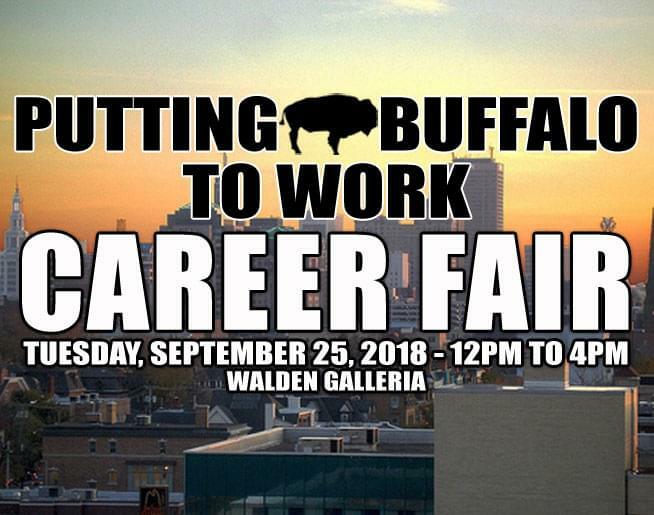 Find your next move at the Putting Buffalo to Work Career Fair on Tuesday, September 25th at Walden Galleria.